The Xerox VersaLink C9000/DT Color Printer produces up to 55 pages per minute in both color and black-and-white documents. 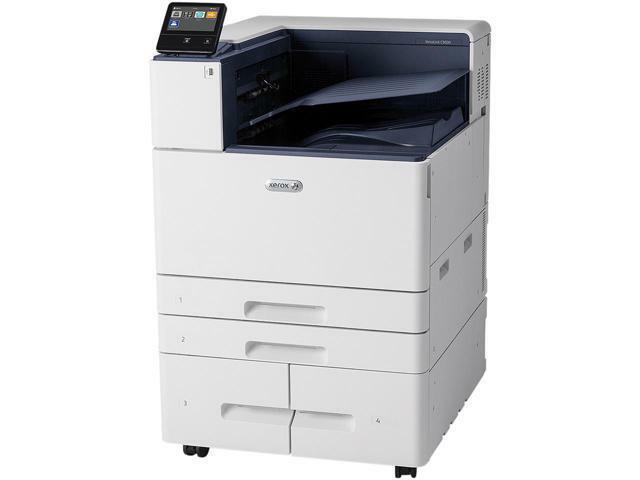 This copier is great for small offices to manage their day to day tasks easier. Help your team stay efficient with the Xerox VersaLink C9000/DT Color Printer, it provides so many versatile features for you and your team. The VersaLink C9000/DT Color Printer’s consistently vibrant image quality, professional color management tools and outstanding media flexibility to bring their ideas to life. Also included are app-based workflow customization and network, mobile and cloud connectivity take performance to new levels. The Xerox VersaLink C9000/DT Color Printer is very flexible in any work environment with all of the features available to you with this printer. The touch screen allows for you to get any apps you may need and adapt this printer to your business needs. There are added security features that ensure that all of your files are secure and safe when you are printing or copying. If you want to know more about this copier or any copier, please give us a call today and we’d be happy to help you pick out the right one for you and your business needs.